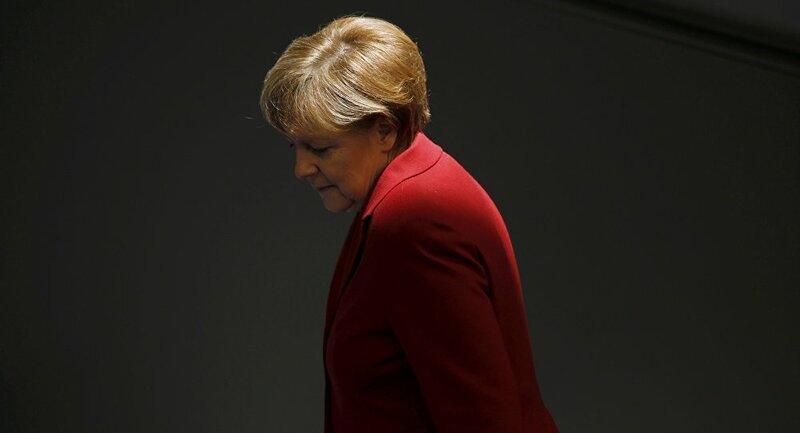 German Chancellor Angela Merkel is working to gradually destroy the EU and European civilization from within, French lawyer Gabriel Robin wrote for Boulevard Voltaire. As Merkel continues to push her migration policy, allowing the large number of North African and Middle Eastern refugees to enter the EU, dissatisfaction within Europe's largest countries and Germany itself is also rising. "[Merkel's] migration policy is questioned in Europe and now even at the heart of German institutions," Robin said, as quoted by Boulevard Voltaire. The author questions what it could be that pushes Merkel to follow her migration policies. Is it her desire to help German companies that seek to keep wages down by employing more migrants? Or perhaps Merkel's ideas of Soviet-like internationalism and cosmopolitanism which she learned while growing up in East Germany, Robin asked. There is already a clash within Europe, as many Eastern European nations openly disapprove of Merkel's policies of mass migration. They want to keep their national identities and refuse to "become Berlin's lackey in this demise" of the European continent, Robin said. "It's time for Angela Merkel to redefine [her policies], it's time for her to return to a reason for the salvation of our continent, which is already very weak and now it's been put in danger by this lady," Robin wrote for Boulevard Voltaire. According to the International Organization for Migration, (IOM) 990,671 migrants and refugees have arrived in Europe since the beginning of the year. At the same time, 3,695 people died at sea while attempting to reach European shores. Since October 16, seven people per day have died on average. Greece and Italy remain the key points of entry for refugees seeking asylum in the European Union. More than 800,000 people have arrived in Greece since the beginning of the year; approximately 57,000 of them arrived in December alone. Does Merkel Want to Create 'United States of Europe'?